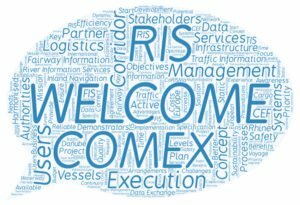 We are happy to welcome you to the project website of RIS COMEX! From now on you can find relevant information about the project, the concept of RIS Corridor Management, news and status reports as well as videos, an interactive map introducing the project partners and essential contact data. We hope you can find lots of relevant information to keep your interest for the project. In case of any questions or other issues, please do not hesitate to contact us!